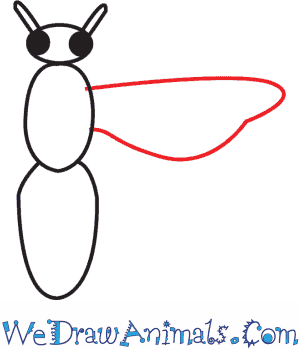 In this quick tutorial you'll learn how to draw a Fly in 9 easy steps - great for kids and novice artists. At the bottom you can read some interesting facts about the Fly. 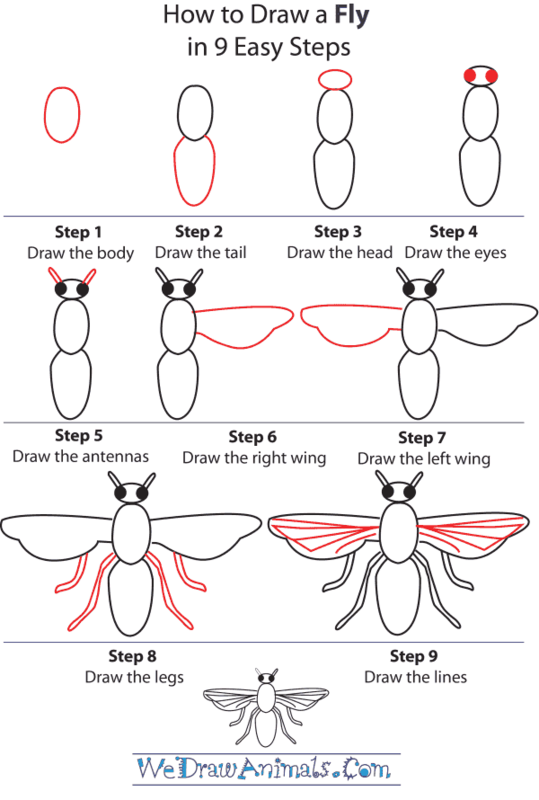 Step 1: Let's draw a fly! 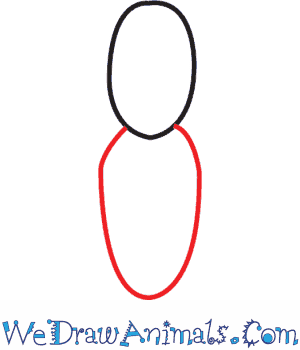 For the first part of the body, draw a simple oval shape. 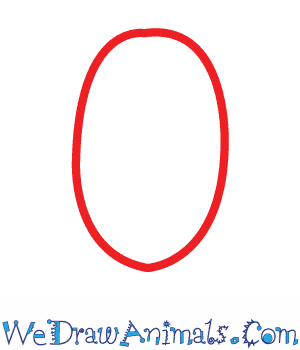 Step 2: Next, add a longer oval shape to the bottom of your smaller oval. 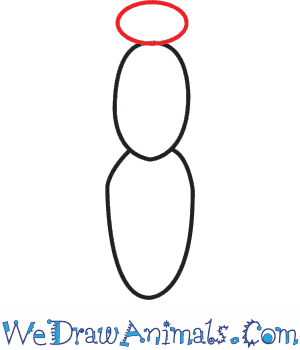 Step 3: Now, draw an even smaller oval at the top of the fly's body for the head. But be careful! Make sure to lay the oval on its side! 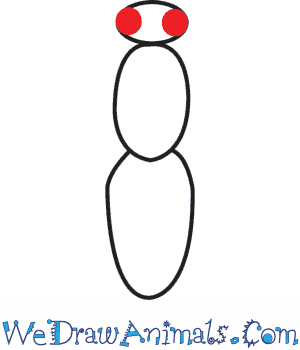 Step 4: Now fill in two large circles on either side of the head for the eyes. 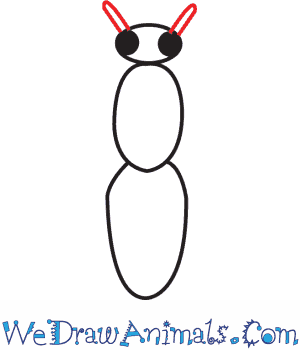 Step 5: Draw two short antennas at the top of the head, right above each eyeball. Here's a tip: make the lines very straight! Step 6: Coming out of the top part of the body will be the first wing. Trace a long line then loop it around. But make sure to trace a deep curbed line beneath it so that the wing looks like it has two layers. Step 7: Trace the second wing just like you did the first. Step 8: Next are the legs! 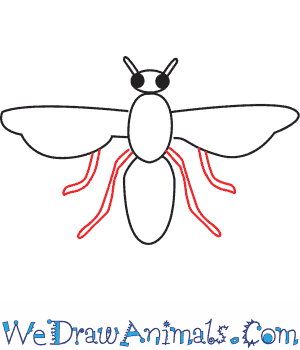 Draw two short legs from under the wings, and then another two longer legs from the fly's body. 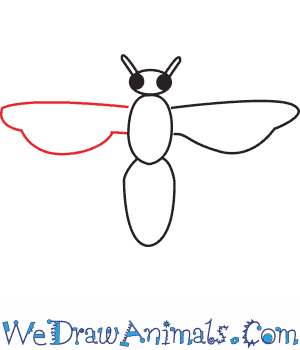 Step 9: Last, draw a large triangle within the wings for detail, and then draw a line through the middle. Trace a line above the triangle, then a short, separate one beneath. There's your fly! On average, flies live for 21 days. House flies are the species of flies that live in your home. They carry about 100 disease-causing germs, which can make you sick when they contaminate your food. Baby flies are called maggots, and they resemble tiny worms. Maggots eat the flesh of dead animals. In some countries, maggots are used to make cheese. Sometimes, medical doctors use maggots to heal people’s wounds. 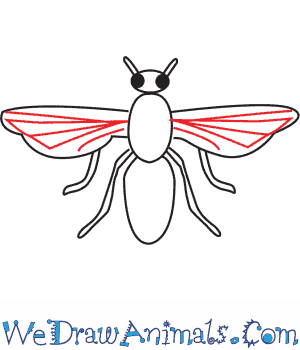 Flies grow to be just about 1.5 to 4 centimeters long. 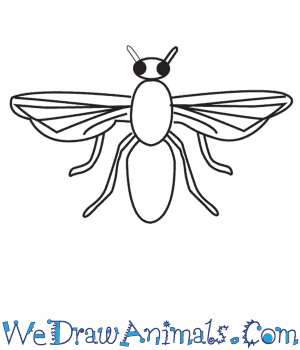 There are other insects that have “fly” in their names, such as butterflies and dragonflies. However, those insects are not flies at all. Some true flies, such as the common house fly, do not bite or sting. Mosquitoes are the species of flies that most often bite humans and spread diseases.